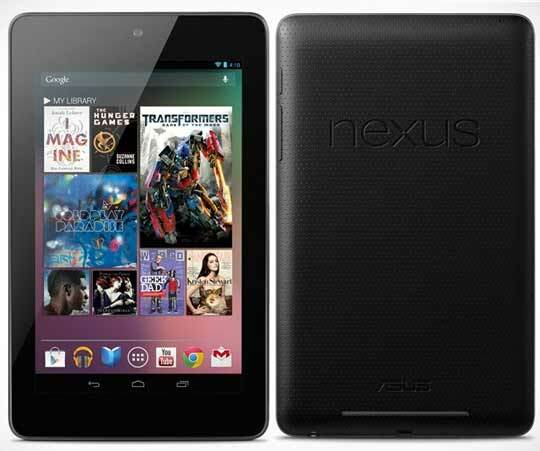 Cheaper Asus Made Google Nexus 7 is the center of everyone’s attention for the last few weeks. Finally now US orders of the Nexus 7 have begun to ship from Google. Pre-orders are shipping from Google’s Play Store, Office Depot and Gamestop. Google has come out with a statement that the first wave of orders has already begun shipping and all pre-orders are scheduled to ship within 3 business days. Once your tablet ships, you will receive a confirmation email straight from Google. Though the base price of Nexus 7 tab is only $199.99, it comes with Google’s latest version of Android – 4.1 Jelly Bean. It also has a 7″ 1280 x 800 display, a quad-core Tegra 3 processor and 1GB of RAM. This tablet costs $199.99 for the 8GB model and $249.99 for the 16GB model. Keep in mind that there is no GSM or CDMA communication capability here, only Wi-Fi for everything.